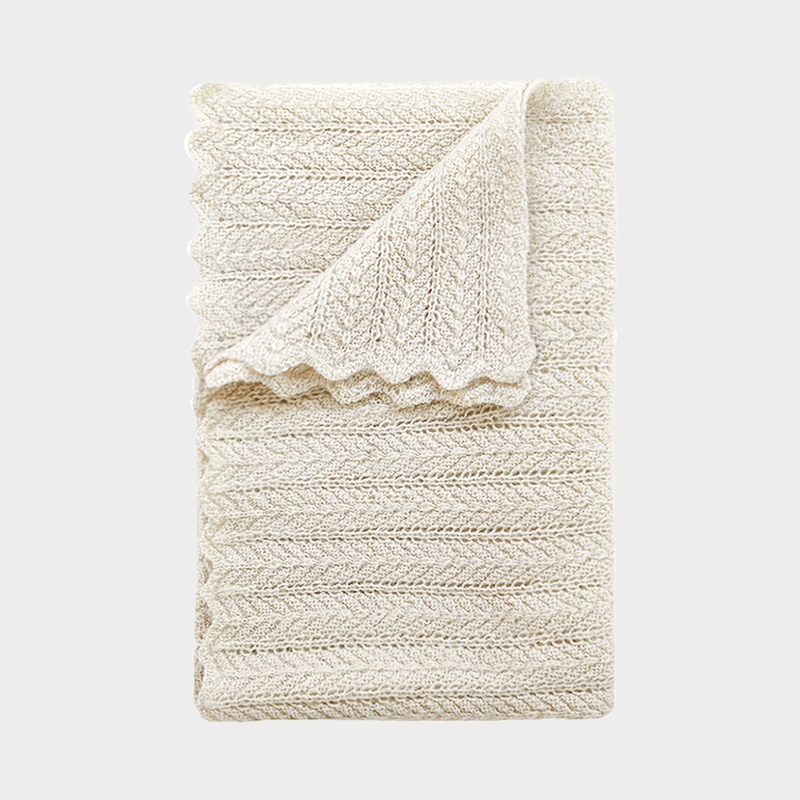 Baby Mollie is a smaller version of our classic throw, Hollie. 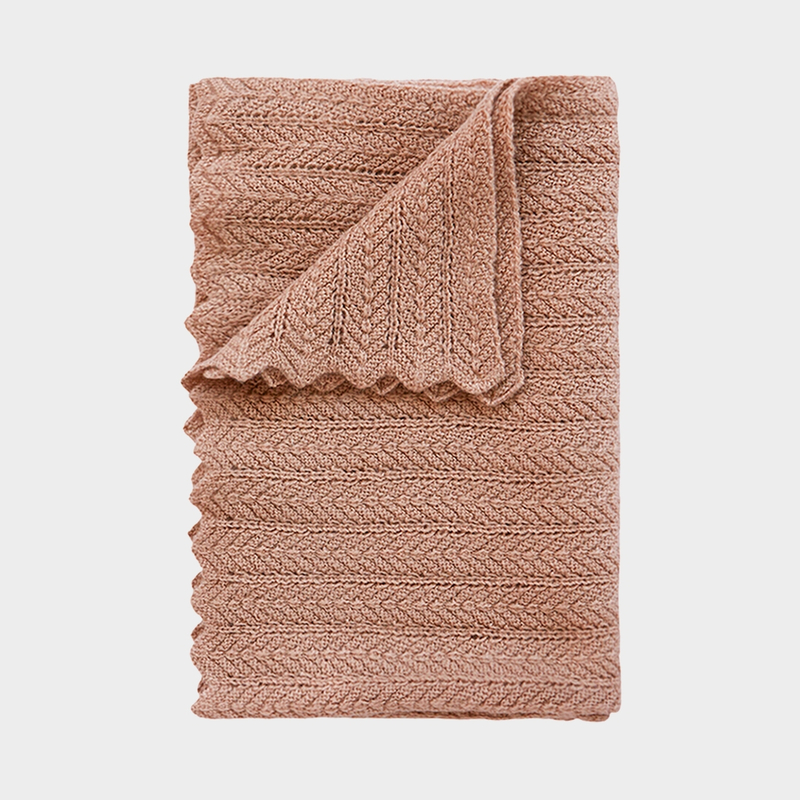 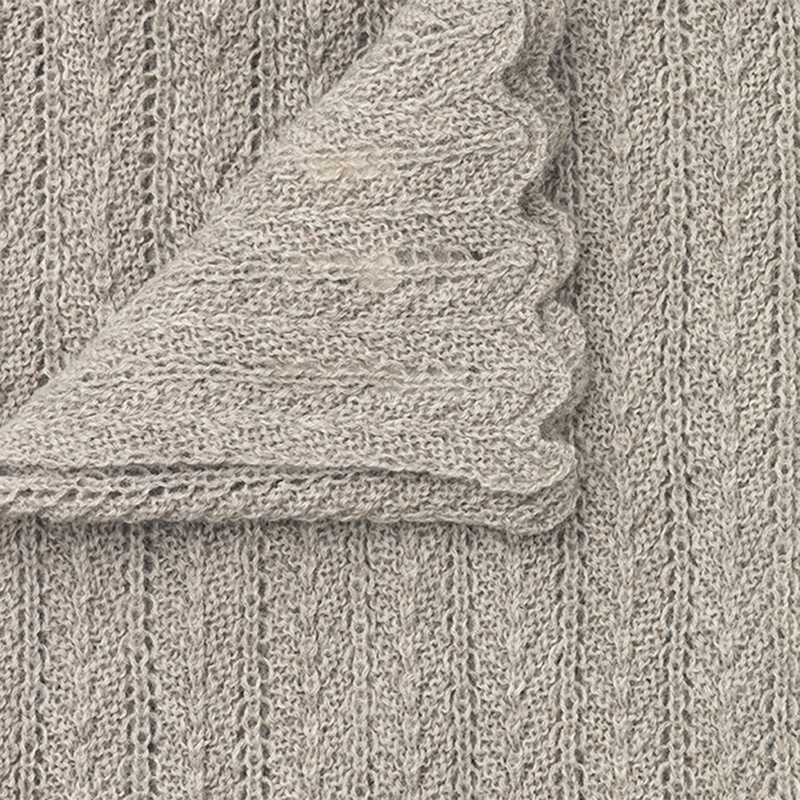 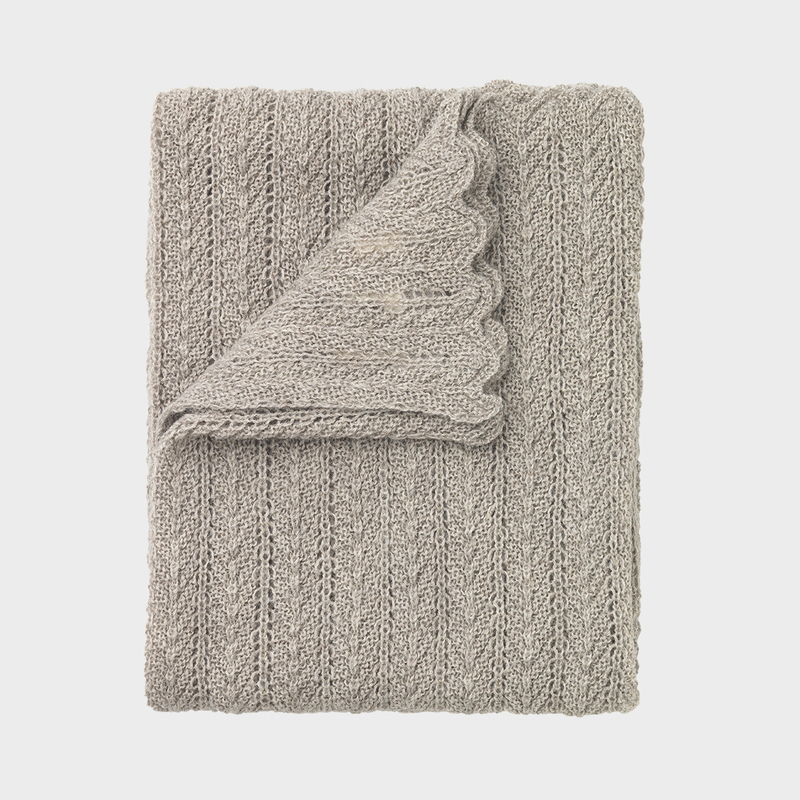 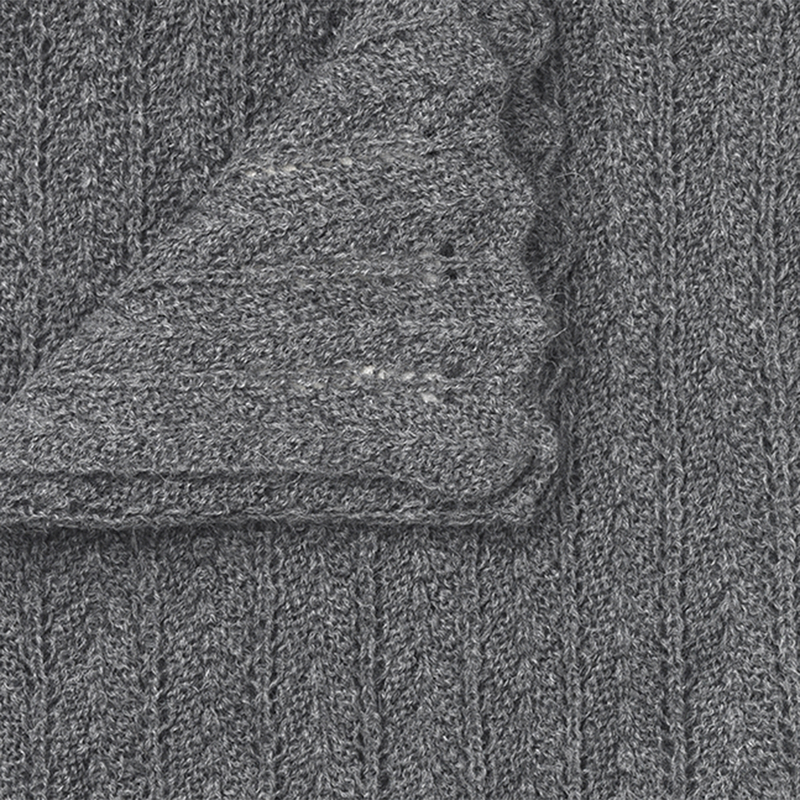 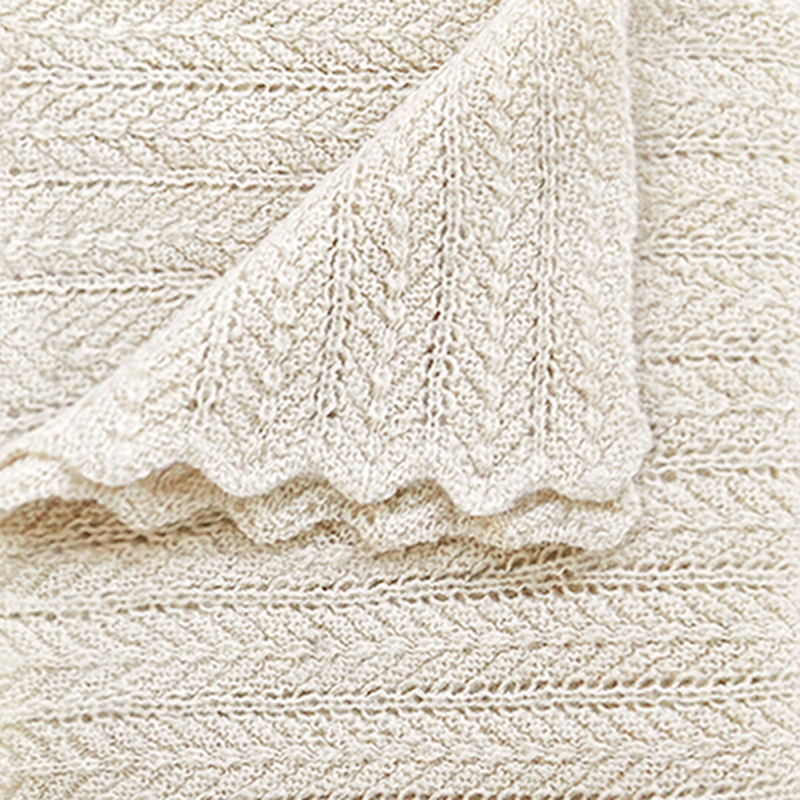 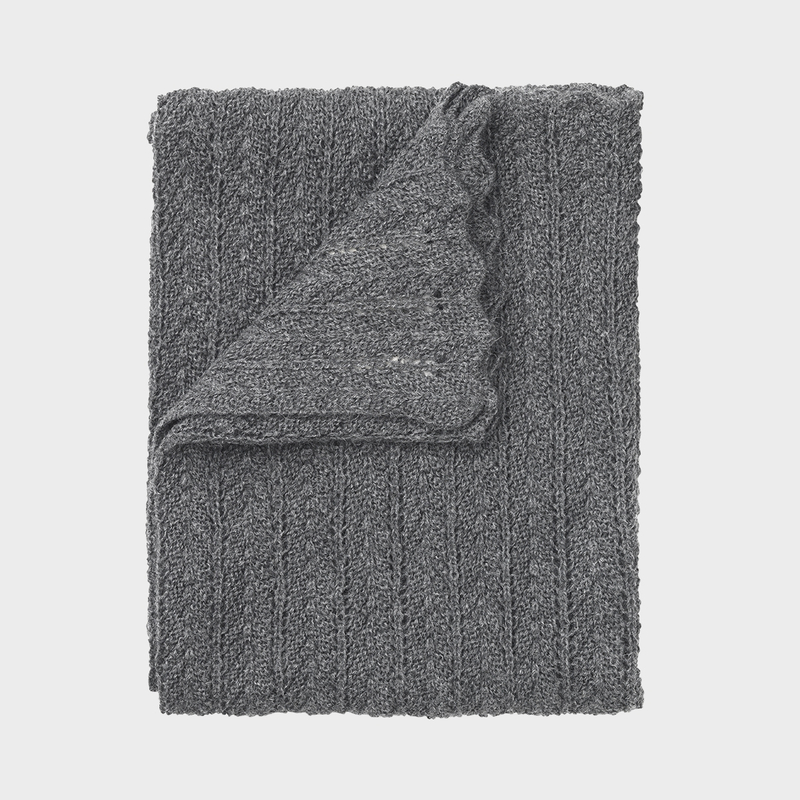 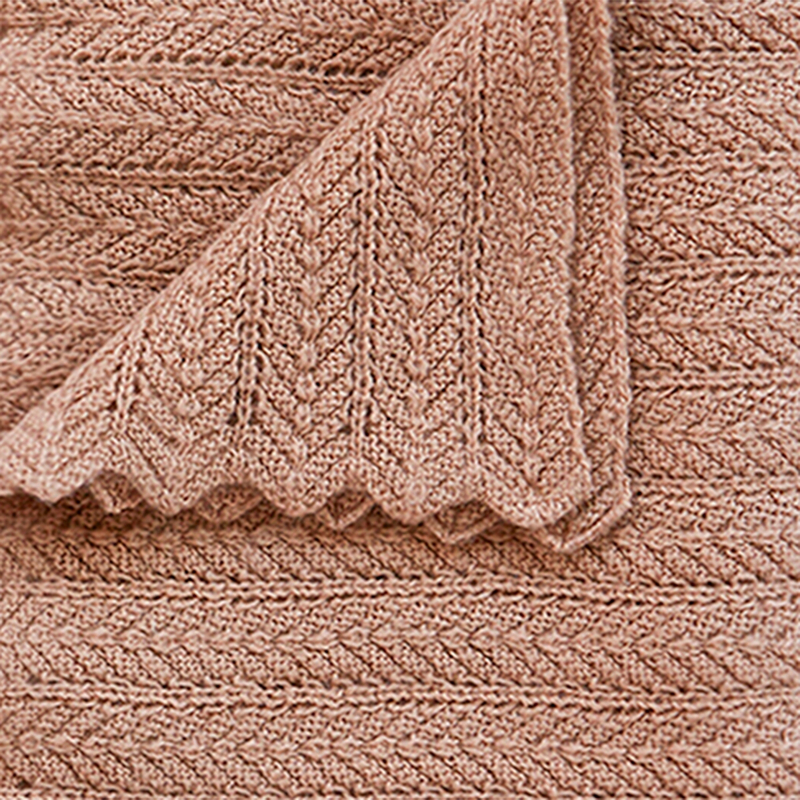 The throw is made in a very soft-textured herringbone knit, and finished by hand with the most elegant wavy lace edges. 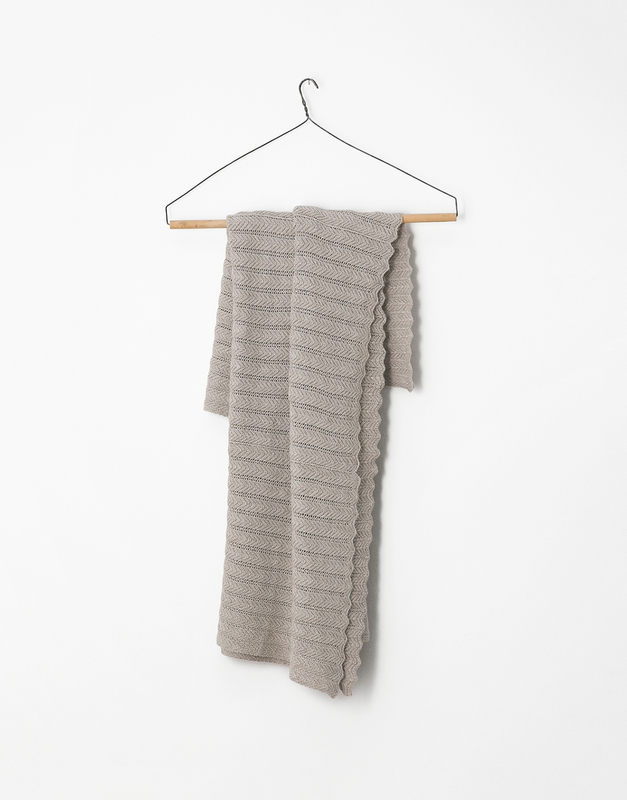 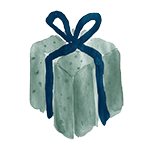 A warm and luxurious wrap made from the softest llama wool - perfect for the little ones. 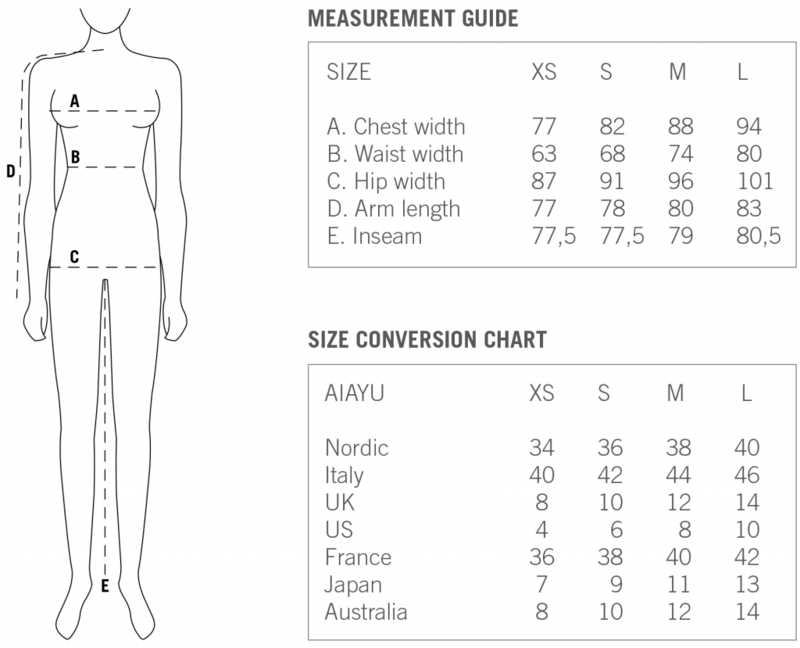 Size 70 x 90 cm.